The Amah Mutsun creation story tells that in the beginning, the world was water. Creator placed hawk, hummingbird and eagle on a sacred peak in the Santa Cruz Mountain Range, Mount Umunhum, to form the world we see today. Creator formed humans last with special knowledge and a responsibility to protect their home and their communities. With this story, tribe Chairman Valentin Lopez opened this year’s first Amah Mutsun Speaker Series event — Survivance and Sovereignty — at Kresge Town Hall on Nov. 3. The series, which began in 2009 as a collaboration between UC Santa Cruz’s American Indian Resource Center (AIRC) and the Amah Mutsun Tribal Band, provides a format to promote communication between the Amah Mutsun and the UCSC community. The Amah Mutsun endured generations of violent colonization, from the 18th century period of Spanish colonization to the time of Mexican settlement, during which indigenous people were enslaved and their population devastated by disease. In the late 1800s a new threat descended when American settlers and the U.S. government proclaimed a war of extermination on all indigenous populations. In the 21st century, Native people are consistently denied rights and legal protection by the U.S. government. The Amah Mutsun Speaker Series intervenes in this history of erasure and helps the community heal from generations of trauma. During the speaker series, Lopez and the Tribal Council spoke to the importance of preserving cultural territory. Because they are not a federally recognized tribe, the Amah Mutsun do not legally own land historically belonging to them. Nevertheless, in 2013 the Tribal Council created the Amah Mutsun Land Trust (AMLT) to provide land conservation and stewardship to Popeloutchom, the traditional tribal territory. A current AMLT initiative, Project Juristac, is an effort to prevent a San Diego-based investor group from developing a 320-acre open pit sand and mining operation on land officially known as Sargent Ranch. This sacred site within Popeloutchom is known by the Amah Mutsun as Juristac. It is considered to be the home of a powerful spiritual being named Kuksui and served as a spiritual center of healing and renewal for generations. According to the Project Juristac website, preserving this territory is a necessary step in the tribe’s long-term cultural preservation strategy. 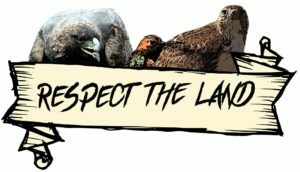 In addition to working with public interest groups like the Peninsula Open Space Trust and the Nature Conservatory, the AMLT collaborates with UCSC and the AIRC to inspire students to get involved in protecting this sacred land. Tribal council members at the series recalled, even as their culture was systematically dismantled by colonizers, missionaries and the U.S. government, Creator never took away their responsibility to care for the Earth and all its communities. This includes looking after people whose lives were scarred by historical trauma. “The speaker series is an incredible way to personally get to know tribal members and get to hear their stories,” said fourth-year student Alejandra Zeiger. The Amah Mutsun’s outreach to UCSC encourages students to get involved with the Tribal Band and its programs. This contact can inspire tribal activism and involvement in land conservation projects. While the legacy of colonialism faded from the memories of many who occupy Amah Mutsun land today, the Tribal Band refuses to allow their history to be forgotten. By engaging students in their journey toward justice, the Amah Mutsun challenge students to join the fight against policies and regulations continuing to discriminate against Native Americans.